But that's exactly what first inspired a Medicine by Design-funded research team to improve the safety of stem cell-derived treatments by programming the cells to die if they mutate in ways that harm patients. The development of "safe cells," an advance outlined in a paper published today in Nature, could be a critical step toward the widespread use of cell therapies, which hold the potential to treat and even cure diseases such as heart failure, eye diseases, diabetes and stroke. "Moving a cell therapy from the lab to the clinic requires answering two important questions: Does it work? And is it safe?" says Andras Nagy, a senior investigator at the Lunenfeld-Tanenbaum Research Institute at Sinai Health System and a professor in the department of obstetrics and gynecology and the Institute of Medical Science at the University of Toronto. "We believe our 'safe cells' help answer the second question and will have a significant impact on the use of stem cells to treat a broad range of diseases." Safety in cell therapy involves preventing or mitigating the risk that the cells will develop tumours or unwanted tissues, or trigger an immune response that may jeopardize the health of the patient. It's a tricky thing to predict, given that cells are living entities. 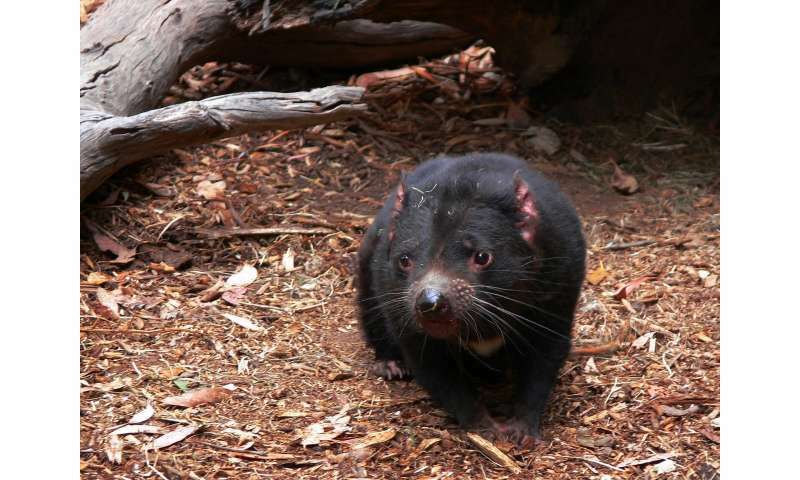 Nagy first became interested in the plight of the Tasmanian devils in previous research that looked at developing "cloaked" cells to enable off-the-shelf cell therapies that would be more cost-effective and timely than personalized treatments using a patient's own cells. The transmissible cancer, which spread when the highly territorial marsupials bit each other, wiped out 95 per cent of their population between 1996 and 2015. As scientists and conservationists raced to prevent the total demise of the animals, Nagy wondered if the devils might hold the key to overcoming a key hurdle in developing off-the-shelf cell therapies: to prevent the patient's immune system from attacking the therapeutic cells, immunosuppressive drugs are administered, raising the risk of other, potentially serious, health complications. "What I found interesting about the Tasmanian devil's cancer is that the tumour cells were not being recognized by the immune system of the bitten animal, so they were not rejected, and the tumour was able to grow," explained Nagy. "The transmission between animals was essentially a cell graft and it told us that it was possible to introduce cells that would not be recognized by the host immune system." From there, he reasoned that just as the devils' face cancer could avoid detection by turning off the right genetic switches, his iPS cells could similarly become cloaked. Testing in mice showed that the cloaked cells worked. But it led to another problem. "Cloaked cells could be enormously dangerous because they could develop into cancer cells which are also cloaked. The immune system has an important function to eliminate hotbeds of cells in our body that look weird and could be tumorigenic," said Nagy (pictured left). "So, we are creating a highly tumour-prone cell type and this is a problem. We have to solve the problem of safety." The idea of safe cells – the subject of this week's Nature paper – emerged from this need to ensure safety, or at the very least the ability to quantify risk. It's perhaps the biggest barrier in getting iPS cell therapies into patients: Until now, no one could predict the exact likelihood that a batch of cells might be aberrant. In this paper, Nagy and his team have devised a method to increase the safety of a cell graft and a formula to quantify the risk of mutation "unsafeness" so that people can make an informed decision on whether such a risk is acceptable. At its core, the safe cell calculation revolves around mutation. DNA replication is error-prone and mutation is unavoidable. In cell therapy, mutation is precisely what you don't want, because it can negatively alter the intended result, say by producing a tumour rather than a remedy for cystic fibrosis, or diabetes, or any other target disease. And the more cells needed for the therapy, the more cell divisions take place, meaning a higher chance mutation will occur. Knowing this, Nagy's team found a way to predict the odds of obtaining potentially dangerous therapeutic cells and ameliorate these odds through gene-editing. The edited cells have a suicide gene spliced into the DNA, directly connected to a gene necessary for cell division and survival. In addition, if a harmful mutation is detected, the application of a small drug can prevent those cells from dividing and causing harm. They're also cloaked, removing the need for immunosuppression. "We have an absolute external control on a safe cell," said Nagy. "There is the possibility that mutations could kill the suicide gene but leave the cell-division gene unharmed. But we can calculate the probability of this mutation happening, and this is how the safe cell level is generated." "What's important here," Nagy qualified, "is that the patient can decide what level is acceptable. So, if someone has a life-threatening illness and their chance of survival is only 10 per cent, a lower safe cell level might be acceptable, versus a patient who has a non-life-threatening illness." "And if that risk is low, then it becomes like many other activities we do, such as riding a bike, getting in a car, taking a flight. Everything we do in life, when we step out of the house, is a risk-benefit decision. That's what this is. What is needed in cell therapy is good knowledge of the risk we are taking which is enough to allow us to make informed decisions."